Katsuya Terada is a Japanese illustrator who's also a prolific character designer. His alias is Rakugakingu, which also means Doodle King. 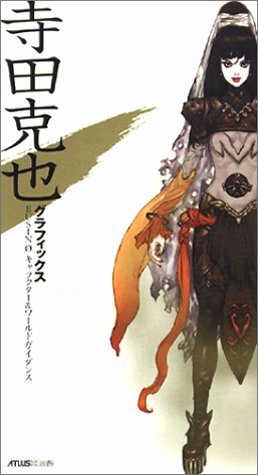 This art book is all about character designs for the PS2 game Busin 0 Wizardry Alternative Neo. It's a fantasy game so you get to see creatures and beasts as well. Each character is fully coloured and printed on each page. There are more than 100 characters in this book. The details in the costume designs are amazingly varied and detail. This book is recommended to character designers and fantasy artists. Published in 2004, the book might be hard to find nowadays. If you buy from the link, I get a little commission that helps me get more books to feature.